Would you, could you on a boat? 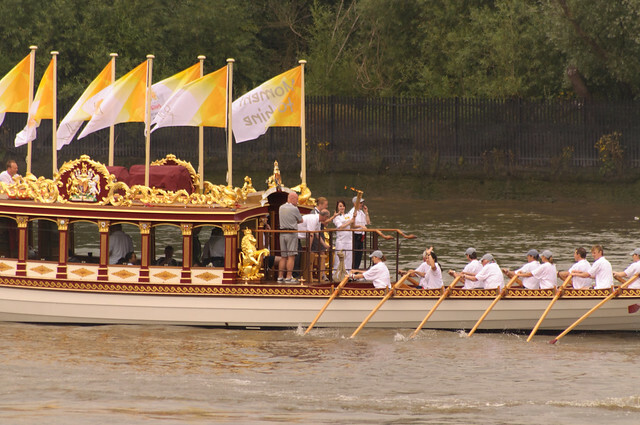 Putting aside the distasteful origins of the Olympic torch relay for a moment, today's voyage of the flame down the Thames was, at the very least, a good opportunity for a look at the new Royal Barge Gloriana. So I picked up a camera and wandered down the road to the footpath by the new flats near the mouth of the Wandle to take a few snaps. 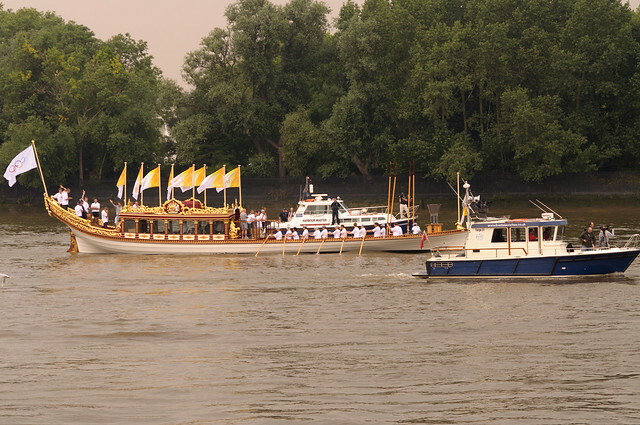 The Olympic flotilla was small enough that it was easy to see the barge as it came down the Putney reach of the river, past Hurlingham, and as it turned up to pass under Wandsworth Bridge. 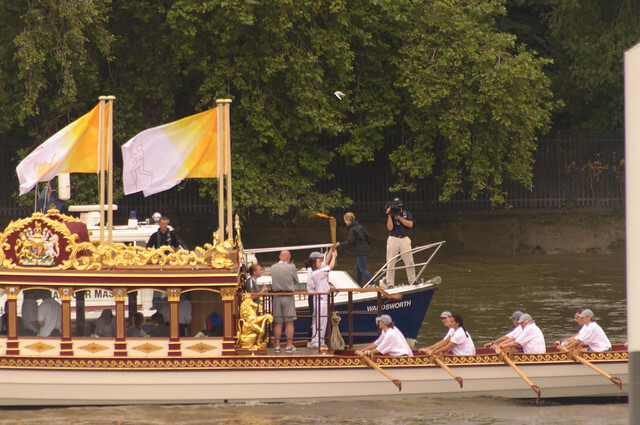 The large cauldron at the bows of the barge had been extinguished, and the torch was being held by a young woman, as it rowed down-river with the tide, all gold and yellow, flags fluttering in the summer breeze. 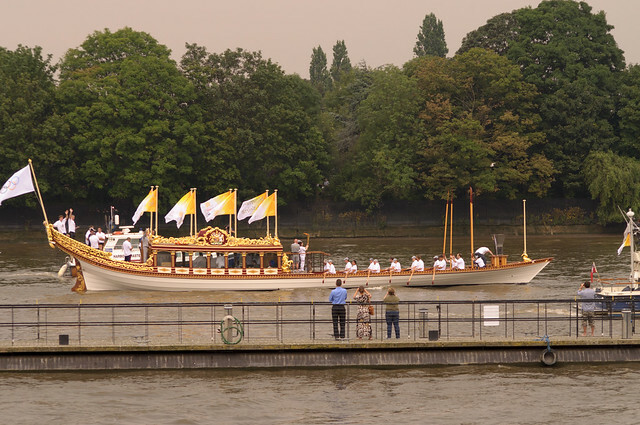 So nice of them to name the barge after one of my favourite Michael Moorcock novels.